Royal Oak, MI – You know him. 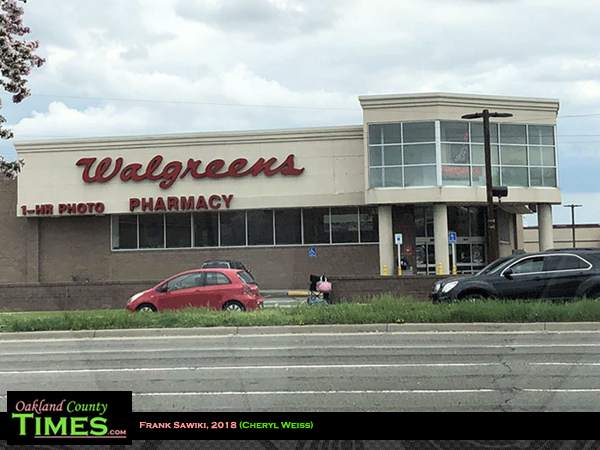 If you’ve been to the Walgreens at 13 Mile and Woodward in Royal Oak, or even if you have just driven by, you have seen Frank Sawiki. Sitting on a chair in the space between sections of the wall, Sawiki is there every day. Rain, snow, heat, it doesn’t matter; he is there. Many have noticed him, and wondered about his story, but few have stopped to ask. A bit of an urban legend, the tales swirling around about Sawiki range from heartbreaking to simply untrue. Some claim he lost a loved one to a car accident in that intersection, so he sits there every day in memory of his family. That is not true. Some say that his long lost his wife used to shop there, so he feels close to her by sitting there. However, there is no wife. Sawiki has never married. Another story is that he is homeless, and that spot is his home. No, that too is false. Sawiki has a home, an apartment in Royal Oak. So what is his story? “I sell pens,” Sawiki said. Yes, regular pens, like you might buy from an office supply store. He purchases pens and sells them for a profit to supplement his income. He keeps them in a Ziploc bag and holds the bag while he waits for customers and company. He does not advertise in any way. “The people can see me here,” Sawiki said. “I’ve been selling pens here since 2001,” Sawiki said. A salesman from a young age, he first started selling pens with his father, who also sold vacuum cleaners. Blind since birth, along with his siblings, this is the life he has always known. When asked about his childhood, Sawiki said, “It was all right.” He was never involved with charities that support the blind, and never wanted a guide dog. “I never felt the need for them,” he explained. He has always been independent with some help from friends. At 65 years old, Sawiki claims to have no struggles in life, although it is not an easy life. He has no family nearby anymore. His father passed away in 2003 and his mother passed away in 2013. A brother was crossing the street when he was hit by a car and killed in Clinton Township. Another brother had a conflict with his roommate and committed suicide. When asked how many siblings he had, Sawiki answered, “A few more.” There were times he should have inherited money, but that didn’t happen. His grandfather intended to leave Sawiki’s dad money, but his uncle took it and they lost out. More than once, other relatives received the money he was supposed to inherit. Sawiki does have an income, but it does not go very far to provide for all his needs. So, he sells pens from his chair by Walgreens. He’s been doing it since 2001. Sawiki may not have biological relatives here, but he has a huge extended family at Walgreens. Perhaps one reason his heart is strong and healthy is because he is so loved by the community. As much as Sawiki is loved by his Walgreens family, there have been a few years he traveled to escape the harsh Michigan winter. He’s spent time in Texas, North Carolina, Colorado and Washington. If he stays in Michigan for the winter, “I don’t get out if it’s real slippery,” he said. Friends mean the world to Sawiki. He has a small group of friends who help him out by driving him to Walgreens, driving him home, and driving him to places he needs to go, such as the laundromat. He could use a few more friends to help him out occasionally. He could use some summer clothes, so if you have some you would like to donate to him, he would really appreciate it. He wears size 44 pants and size XL shirts. . He loves music from many different eras, and he would like some help loading his favorites onto his electronic device. If you have a few minutes to spare, stop by and offer to help him out. Most of all, he would like for people to buy pens from him. You can always use a new pen, and Sawiki has plenty to sell. This story should have ended here, but it didn’t. Sometimes the reporter becomes a part of the story unexpectedly. Shortly after we met, Sawiki called me one Saturday evening. It was after 9:00pm, he was at the laundromat, and needed a ride to his apartment. I was home, but I had just been in the hospital all day with an asthma flare up and could not go out. My heart went out to him, and I wanted to help, but I explained my situation. However, I offered to see if I could find a ride from him. I posted in the Facebook group “Royal Oak Residents for Royal Oak” and hoped with all my heart it would work. 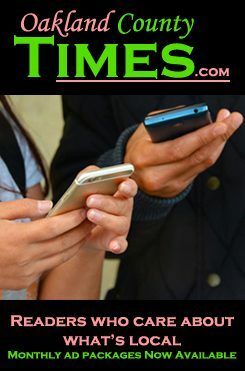 Immediately, Laura Kruse responded, “I would pay for a ride for him if that was at all possible.” Quickly, through private messages and Kruse’s generosity, it was arranged. I stayed in communication with, and once he was in the car, I could hear the relief in his voice. It was great to hear him relaxed and chatty. But Kruse was not the only one willing to step up and help. Another member of the Royal Oak Facebook group also quickly offered to use his Uber account to get Frank home. As the evening went on, more members posted, creating a new circle of helpers and new friends. But he’s always looking for more. 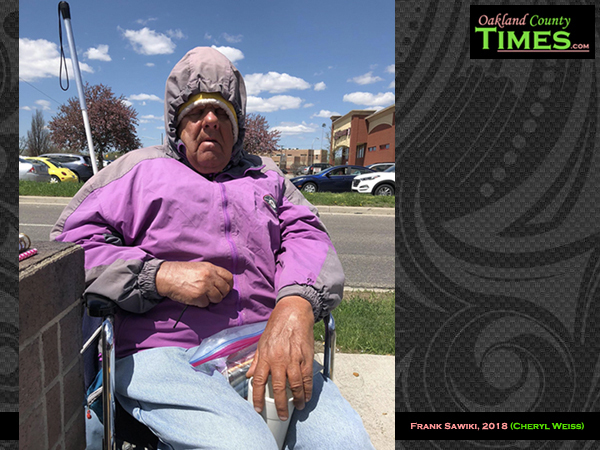 So if you are in the area of 13 Mile and Woodward and you see a blind man selling pens from a chair in the Walgreen’s parking lot, his name is Frank and he would like you to say hello. And maybe buy a pen or two.